Today, I show you some of my guilty blogging pleasures and, of course, where I get some of my inspiration when I blog. Sometimes it’s when I read something that one of these cool chicks wrote and I am moved to write, write, write. And sometimes I just need a laugh and they are also good at giving me that. I learned about this blog from a friend of a friend and have never been sorry I read it. She’s witty, clever and a true Mama Bird— she’s pregnant! Hilarious and says things I wish I had said. Also, she has a series called Toddler Dinners. I want her to make my toddler dinner every night. This is a Mom blog that has social relevance. I first discovered her on Twitter and have been reading ever since. You might know her from the cover of Time Magazine. This girl baffles me. I admire her very honest and realistic approach to spending. I find that I have very much in common with her and enjoy her helpful tips. We can all benefit from spending less and saving more. This is a local blog that gives me all the information I need for upcoming events, kid-friendly activities and local Mom interaction. I am psyched to have an article in her Mamatoga Holiday issue. It comes out this Friday! Another ordinary chick who writes good stuff. “Mr. Lady” is just a cool Mom with self-deprecating charm. I love her. What’s your favorite blog to read? Link it up below. I am always looking for something new! Shortcut Girl is an official .com! 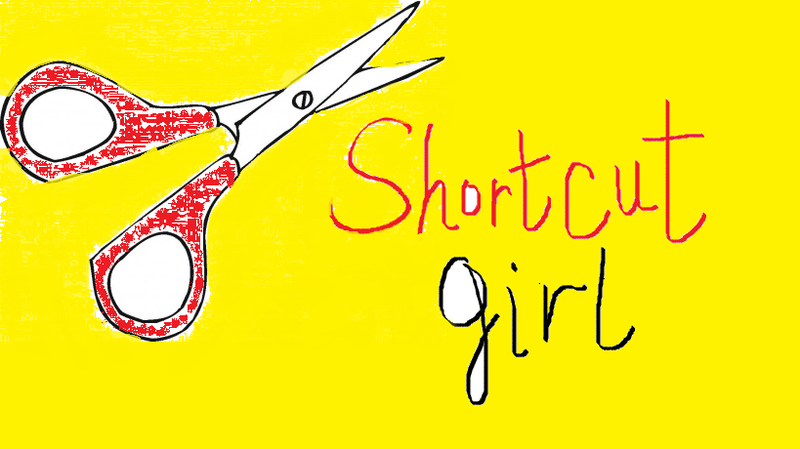 I just got www.shortcutgirl.com as my new blog address! I am so pleased it was available and suddenly feel more official. Please share and share generously with your friends. Anyone who already has, it’s much appreciated! Just spent way too much time when I should be sleeping creating this logo. I used Paint. I’m pretty surprised by how it came out! Tell me what you think!